19th century: early census information Aboriginal people are often not recorded in early ‘musters’ and censuses, but there are some records of Aboriginal people being recognised as residents of Newtown, which exist in the censuses. These records seem to under report the number of Aboriginal people in Newtown, as there was much pressure on people not to identify as Aboriginal from around the turn of the century and early 20th century. Therefore, the numbers are not reliable. However, there were columns for recording the number of Chinese and Aboriginal people in the census collector’s books and this seems to have depended on the diligence and judgement of the census collector. Considering attitudes towards Aboriginal people of mixed background, or those with fairer skin, it was probably an underestimate. In the Census 1871, for example, an Aboriginal man was recorded as living in the electoral district of Kingston. Within the municipality of Newtown, five men were listed as living in the O’Connell Ward, and a woman in the Kingston ward. One man was listed as a resident of the county of Newtown. Unfortunately householder names were not listed in this census, making it difficult to find out more about them from written records. Lena Ching Chi (nee Leslie) is listed in the 1891 Census as the householder at Simmons St (off what is now known as Enmore Rd). The census collector noted that she had a Chinese father and Aboriginal mother. Two other men were listed as living at the house. In 1901, Lena is listed as giving birth at St Peters to a son, Edward, but she would be past childbearing age by then and she died just five years later in Newtown. Did Lena perhaps raise one of her grandchildren as her own son? Or did she have a daughter who was named Lina? Lena Chin Chi died in Newtown aged about 50 years in 1906. Chinese families were known to tend market gardens around Alexandria (from the 1880s) and some also lived in the Marrickville area. By 1901, according to historian Shirley Fitzgerald, there were approximately 24 Chinese people living in Marrickville, with 289 in Alexandria. The Chi family may have been connected with these activities either in Alexandria or Wollongong. 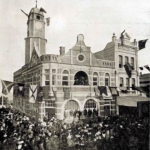 In the 1871 census, the Chinese population of Alexandria was recorded as numbering 13, and in the Newtown electoral district, only one man’s name recorded. That they were listed there at all, suggests they had some visible presence in the population at this point. Aboriginal women and men were also listed with some households in the Ashfield-Petersham district in the 1891 census. 20th century However, it was after WW2 that a wave of Aboriginal families and individuals moved to the city from rural areas for work, education and to escape country town racism. Some people also moved to be closer to family members who were in jail, so they were able to visit them. Often they moved to Redfern, where there were numerous factories employing Aboriginal people they knew, and where they could get work. They also moved to Newtown and then again to Marrickville where the housing was cheaper according to Cashman and Meader. After the Aboriginal Housing Co. and Aboriginal Hostels were formed, this move into the inner west continued. desperate need for accommodation. He regarded Newtown as one Sydney’s four predominantly Aboriginal areas, in addition to Waterloo, Alexandria and Redfern. 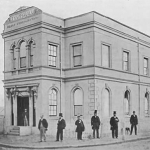 He spoke of a house in Georgina St in Newtown which was jokingly referred to by Aboriginal people as the “Georgina St Mission”, as so many Aboriginal people stayed there when they first came to Sydney from the country. People often stayed with their relatives as there were few other options for them financially. Staying with relatives was also a way of making connections for work in the city, and would be probably also being considered as a responsibility/culturally appropriate in any case. Ruby Langford Ginibi a Bundjalung woman from Coraki and a renowned author and elder was a resident of Newtown, Erskineville and Alexandria in the 1960s –1970s. She has written about her experiences in Don’t Take Your Love to Town. Herevocative accounts include numerous mentions of Newtown, Erskineville and Enmore where she lived with her family, often struggling financially and anxious about impending rent collection. She lived at Fitzroy St, Newtown during 1967-8. In this home, at times there was no gas for cooking, which made preparing for one particular Christmas dinner a challenge! Family and friends such as Jim Golden pitched together and the dinner was a success. Stories of people assisting each other, of looking out for each other’s family are central to her living experience and are brought to life in her writing. There were some brighter times too, and Langford’s growing cultural pride in her Aboriginal identity is also clear when she joined the Aborigines Progressive Association (APA) and when she attended a Mornington Island community dance performance at the Elizabethan Theatre in Newtown. This experience moved her profoundly. the 1960s. She gave a speech at the invitation of the school. Later her son Nobby, while playing at a Newtown school playground, was accused of stealing sports equipment. According to Langford, they were caught using the equipment, even though the door to the shed was open and Nobby was put before the Children’s Court. She lived at Enmore for a short time and then at Charles St, Erskineville. Her accounts show the difficulties that Aboriginal people living in the city faced with law and order authorities, schooling and domestic violence. She also wrote of their financial struggles, as well as the importance of family and cultural connection and support, and Aboriginal humour. Mum Shirl (Shirley Perry Smith) a Wiradjuri woman, born at Erambie ‘Mission’ at Cowra, NSW is another well-respected and much loved figure who lived in Erskineville and Enmore for many years. She began visiting her brother in jail in the 1940s and continued to visit prisoners for the rest of her life, across the state. She was acutely aware of the difficulties and loneliness that they faced ‘inside’. She cared for children and fostered as well as assisting others in need and helping to establish key services for Aboriginal people. “ we all knew each other and we had little to do with white people, except that we shopped at their shops and always had to go to them for jobs and work, but mostly we just seemed to be with each other”. As a young woman, she worked at Argents Box Factory [possibly at Shepherd St Darlington] with her Auntie Noleen, sister Olga and friend Vera Morgan, and a number of other Aboriginal women who were employed to fold and pack boxes. She worked there on and off, often taking time out to visit her brother in Maitland prison. She said that her manager accepted this and that there was always work for her on her return. While working for the Aboriginal Medical Service (AMS) around the time of the initial Tent Embassy, she rented houses in Stanmore and Erskineville for her own family and groups of unmarried mothers and their children. They pooled together their pension money for bills, but money still ran short. Members of Mum Shirl’s family accepted the Marrickville Citizen of the Year Award for Mum Shirl at Enmore Park for her in 1998. She received many other awards for her work. Janet Cormack lived in Erskineville, from the 1940s at least, according to her nephew Lewis Solberg, who knew her as ‘Auntie Janet’. Lew’s mother, Elise, often took her children to visit her and sometimes stay with her. They were living at Redfern when he was a small boy. At this point, Lew did not realise that his mother and Auntie were of Aboriginal (Ngunnanwal) descent from the Bell and Bush families. He realised that his Aunt had darker features than his mother and himself, but growing up at a time when this could be used against people, and to remove children, it was not necessarily discussed. It was through family history research and questions asked of his mother by himself and his sisters that he found out more about his background, as have many other people since the 1980s. He now identifies proudly as an Aboriginal man, is in contact with Aboriginal relatives and continues to visit his Ngunnunwal great grandfather’s land near Yass. 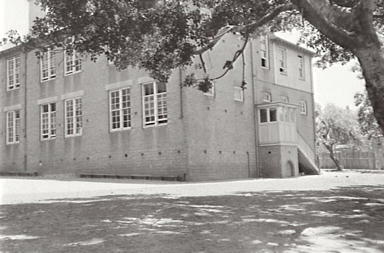 Other Aboriginal and Torres Strait Islander residents of Newtown included Bessie Johnson who was known to have lived in a boarding house for young women in Newtown in the 1950s. The entry in the Koori Mail suggests relatives or friends in Lismore were trying to contact her or find out more about her. 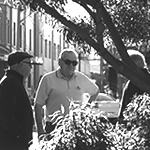 Alan Thomas Ritchie stayed at the MacDonaldtown Hostel in 1956. No doubt there were other people who had arrived from the country and elsewhere were living in hostels in the area. The Kennedy family lived in the Newtown area too, between picking seasons at Narrandera, Deniliquin and other places. Connections between rural and city areas, and movement between suburbs continued. There must be many more stories which oral history could provide to enrich this history.